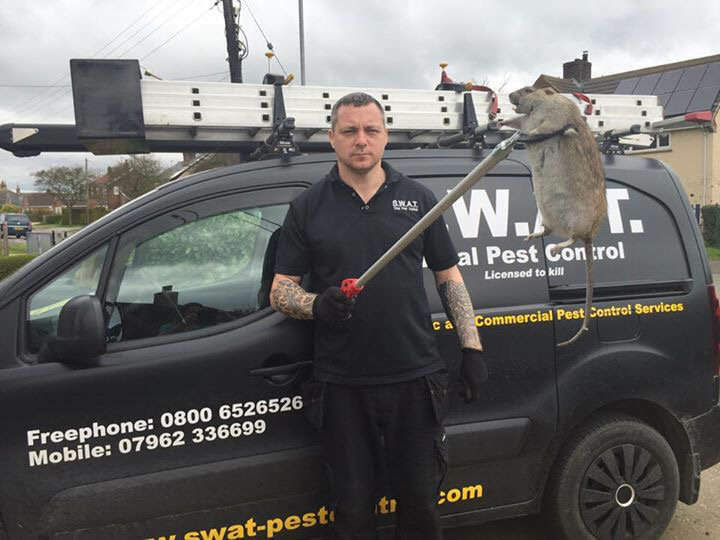 You might remember all the fuss over the ‘giant rat’ found in London a little while back, well this one would certainly give it a run for its money. 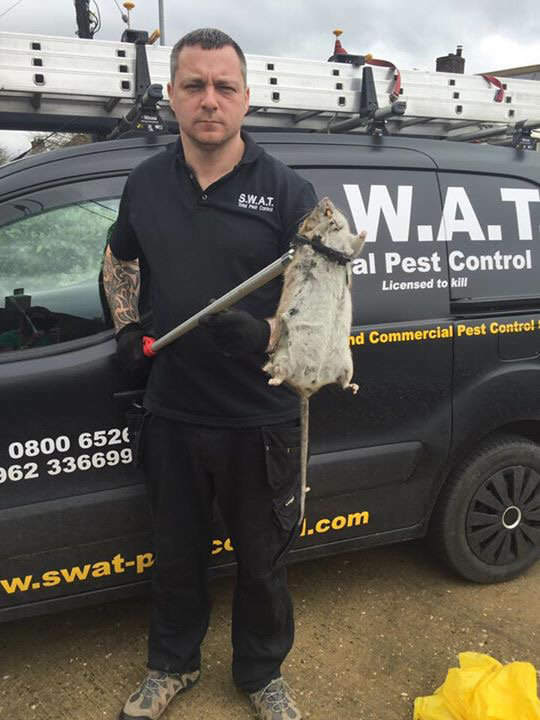 The rodent – which measures in at two feet long – was captured at someone’s home in Humberston, Grimsby, after pest controllers were called in to deal with reports of the vermin scuttling along their patio. Grim. The owner of S.W.A.T. Total Pest Control, Jeff Sullivan, 58, confirmed that this is the biggest rat he’s encountered in his 18 year career in the sector. There is a lot of misrepresentation with guys taking photos of rats with mobile phones and holding it out at an extreme arms-length to create the illusion that it’s bigger than it really is. 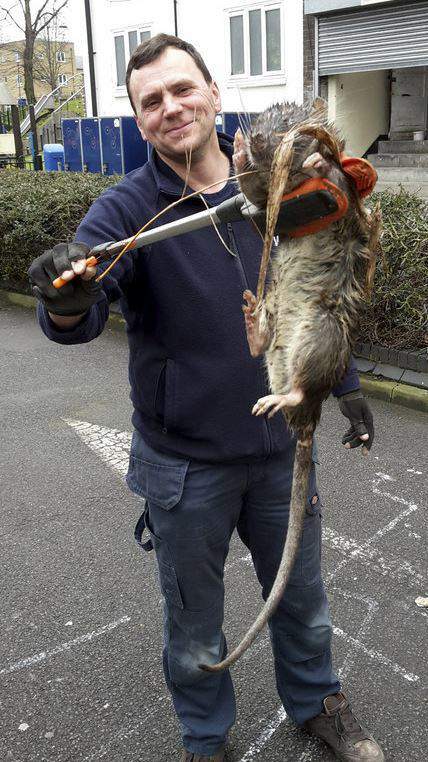 But this is the real deal, it’s the largest rat I’ve ever seen. He’s referring to the four foot rat found in London not too long ago, which actually turned out to be a trick of perspective and was only two feet long. 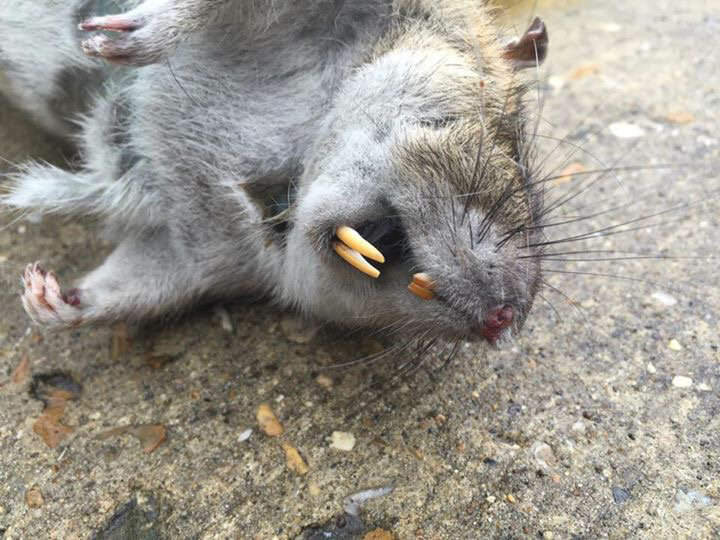 Just to make this a bit more terrifying, it sounds like this could become a much more regular occurrence, as they predict there is a plague of ‘super rats’ in the UK. Usually Britain’s rodent population is decimated by the cold, but due to the mild winter weather this year, the rats spent the colder months eating and growing in size, reports The Mirror. A view echoed by Jeff, who revealed that the rats are eating high-protein food to bulk up to their insane size and are also becoming almost impossible to kill with traditional rat poisons. This particular rat was caught using traps, which is the most eco-friendly way of dealing with vermin. 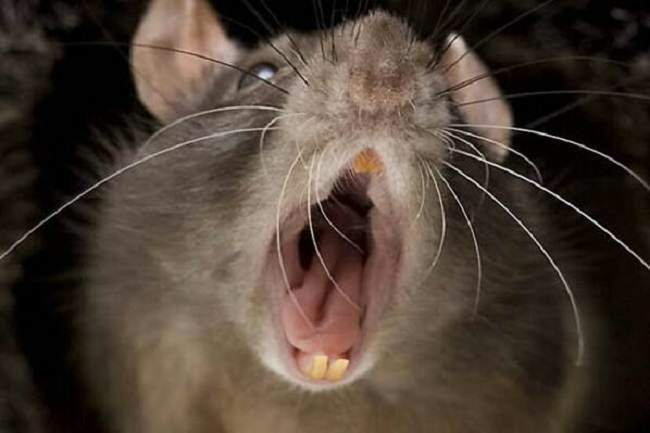 We’re not exactly thrilled that these giant rats now seem to be an actual thing- it’s definitely not something I want to encounter in my kitchen anytime soon!